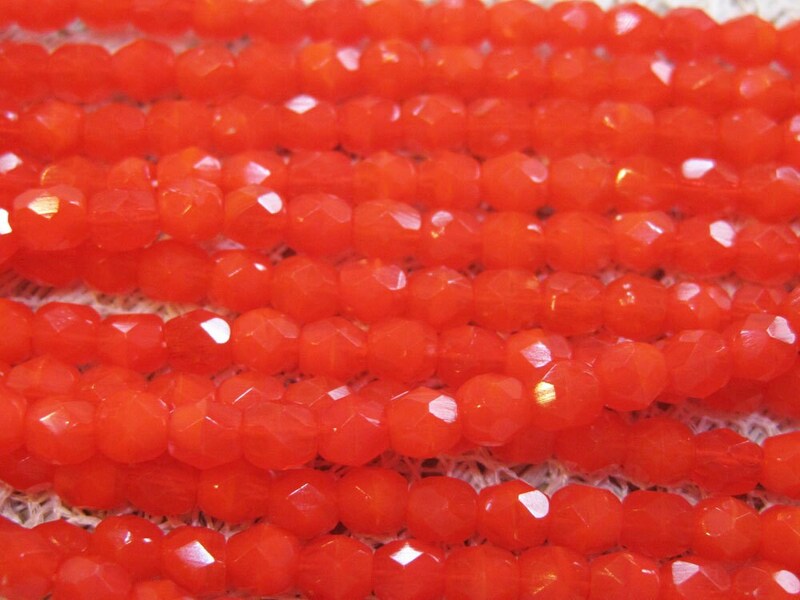 One strand of 50 opaque bright red hyacinth Czech firepolish crystal beads measuring 4mm. Add some sparkle to your jewelry creations! beautiful beads. such a vibrant color!!! Very Pretty can't decide what I want to make with them first! Received my beautiful beads today! Can't wait to start working with them! Fast service and awesome selection. Thank you for the 10% off coupon! Helps when purchasing many items. Love this store!